You and your spouse can create a written agreement that spells out how various aspects of your life will be handled. This document may be written at any time before or while you are living together or married. These domestic contracts play an important role in family law cases. Mississauga lawyer, Dawn Bennett, is experienced in preparing, interpreting, and implementing domestic contracts. Cohabitation Agreement– A comprehensive document outlining critical elements of living together. Unmarried couples usually enter into this agreement when a decision has been made to live together. A cohabitation agreement may not include access to or custody of children. Marriage Contract– If a couple with a cohabitation agreement marries, the agreement can be stated to become a marriage contract or the marriage contract may be formed during the course of the marriage but before the breakdown of the marriage. Separation Agreement– A separation agreement addresses issues related to dissolving a common-law relationship or a marriage. It usually settles on a permanent basis all rights and obligations arising from the relationship. A well prepared domestic contract, in essence, allows spouses to override conditions of Ontario family law. These agreements permit partners to form their own rules for the relationship or separation. Registering a domestic contract with the court is optional. 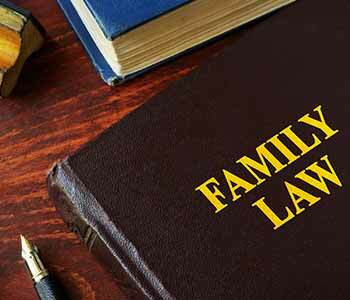 Family law is designed to protect your rights. Signing away those rights with a domestic contract can have tremendous implications on your life now, and into the future. Before signing any form of contract, it is advised that you seek the advice of qualified legal counsel. Dawn Bennett at Bennett Law Chambers in Mississauga handles a wide variety of family law cases involving domestic contracts with discretion and professionalism.